This is the second of the ‘Scottish Lady Detective’ series set in fascinating locations. Louisa is currently standing in for her boss at a conference on Fiji. She arrives just as a political coup has taken place and can’t get to her hotel. She and a fellow passenger are picked up by two men and offered rooms for the night. 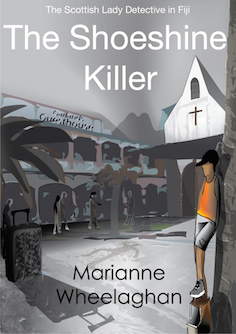 One of the two kind souls is found murdered the next day and the other, after being seen speaking to one of the shoeshine boys in the town, is also later found to have been murdered. 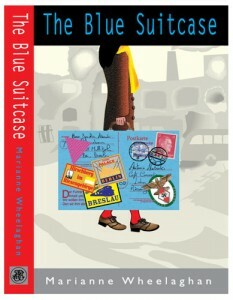 Louise and a local policewoman become drawn in to trying to solve the case, which puts Louise herself in great danger. All isn’t entirely happy on the love-life front, either. Things get complicated. This is a story in which the threads of the murder mystery become entangled with Louisa’s personal life. Her OCD makes life very hard for her when she has to share a hotel room. 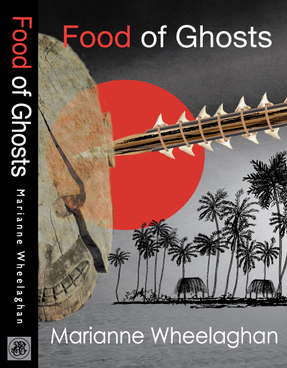 This story is set on a different island from the first book, Food of Ghosts and I somehow felt a greater sense of place in the first. There was much dashing about here, to different hotels, and even for a day, back to Kiribati where she was living. I like the character of Louisa. She’s earnest and hard-working and, situated where she is, she doesn’t have the might of modern forensics at her command. It’s almost as if Marianne Wheelehan has taken a modern girl and given her an Agatha Christie set-up to work with. The relationships she creates are always multi-dimensional too. A great series and very different.